Tradition and legends abound. 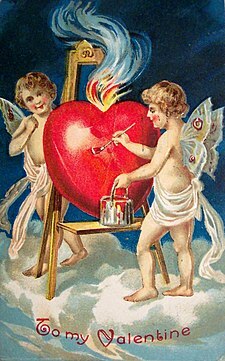 The truth is we do not know much about the life of St. Valentine. What we do know is that around 278 AD, Valentine, a holy priest in the days of Emperor Claudius II was executed. The precise day is well acknowledged as February 14th. Claudius was known for his cruelty. His unpopular and bloody campaigns required a strong army. To Claudius’ vexation, he was not able to draw many Roman soldiers to his cause. Valentine believed that the soldiers were strongly attached to their wives and families. As a result Claudius banished marriages and engagements in Rome. Valentine believed this to be a great injustice and continued to perform marriages.